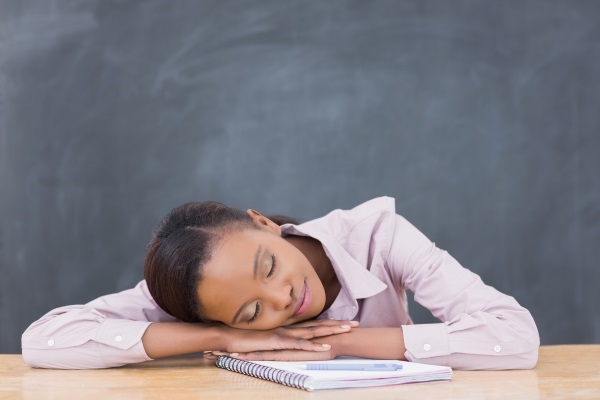 As teachers battle daily feelings of overwhelm and exhaustion, good quality sleep is not a luxury, but a necessity, says Julia Watson. When I see clients in my hypnotherapy practice, they present with a wide variety of challenges and goals. Invariably, they all have one thing in common: sleep deprivation. Fortunately, the deep relaxation, (or ‘trance’) used in hypnotherapy produces the same effect as REM sleep, helping clients to catch up on the powerful benefits of sleep missed through stressful jobs and busy lives. In my opinion, prioritising good quality sleep is the single most effective thing you can do to improve your quality of life and health. It also has a significant impact on your productivity, efficiency and your ability to learn and retain information. 65 years + = 7 - 8 hours. Sleep performs key functions that are essential for human wellbeing. These functions are particularly useful for teaching and learning. During REM sleep, memories are moved from the part of the brain that holds emotional memories in the left pre-frontal cortex, to a place where events can be looked on as a narrative, in a dispassionate way. Ever been told to ‘sleep on it’ when you’ve been upset or frustrated with a situation? In the morning, events have been moved within the brain structure and you are able to reflect on them more clearly. During sleep the brain processes information, storing the ‘important’ information in long-term memory, whilst sifting out the less-important stuff. Of course, this is highly subjective and might be why you remember that your after-school meeting has been cancelled, but manage to forget your breaktime duty! There is also a 40% reduction in the amount of information you can recall when sleep deprived, so continuing to work when you are tired is simply not an effective use of your time! During sleep, the brain pumps spinal fluid through the cerebral system, clearing out toxins. There are also strong links between long-term sleep disturbance and serious medical conditions such as heart disease and type 2 diabetes, among others. Lack of sleep can make you more susceptible to mental health problems, including depression and anxiety. Sleep Matters: the impact of sleep on mental health and wellbeing is a very useful document from the Mental Health Foundation, which includes a sleep diary you can use to track your quality of sleep. In her book Take a Nap! Change your Life, research scientist Sara Menick advocates taking a nap of around 26 minutes every day to boost job performance by as much as 34%. in the crash mat cupboard (PE teachers, we see you). I know I need to sleep, but I can’t relax! I’ve got too much work to do! If you know you're tired, but want to keep working, remind yourself that you aren’t benefitting your pupils by doing so. Remember that over-working is a sign of stress. When over-tired, the amygdala takes control and you are likely to show toddler-like behaviour, ‘I can’t stop working’, ‘I’ve got too much work to do’ (stamps foot), or result to black and white thinking ‘no-one else is going to do this’, ‘I’m never going to be able to get this done’. It’s a clear sign that you need to sleep. Practice gratitude. Studies have found that people who take just a few moments to think about or even write down the good things that happened that day are more able to ‘switch off’ and drift off to sleep. What would you do if a child was over-tired? You would take care of them, put them in bed, give them time to relax, drink a warm drink, read a book. Offer yourself the same kindness. Ultimately, by doing this and meeting your own needs, you are more able to take care of others.